On Sunday, August 10, Foothill Conservancy will hold a special one-day Mokelumne River conservation benefit raft trip on the South Fork of the American River. The trip is made possible due to the generosity of O.A.R.S. of Angels Camp, Calaveras County's family-owned and operated rafting outfitter. All proceeds from the trip will benefit Foothill Conservancy's Mokelumne River conservation efforts, which include not only securing Wild and Scenic protection for the river, but salmon and steelhead restoration, smart water planning for our region's future, and much more. The cost for this all-day adventure is $100 per person, more than a 25 percent discount from the regular Sunday price. 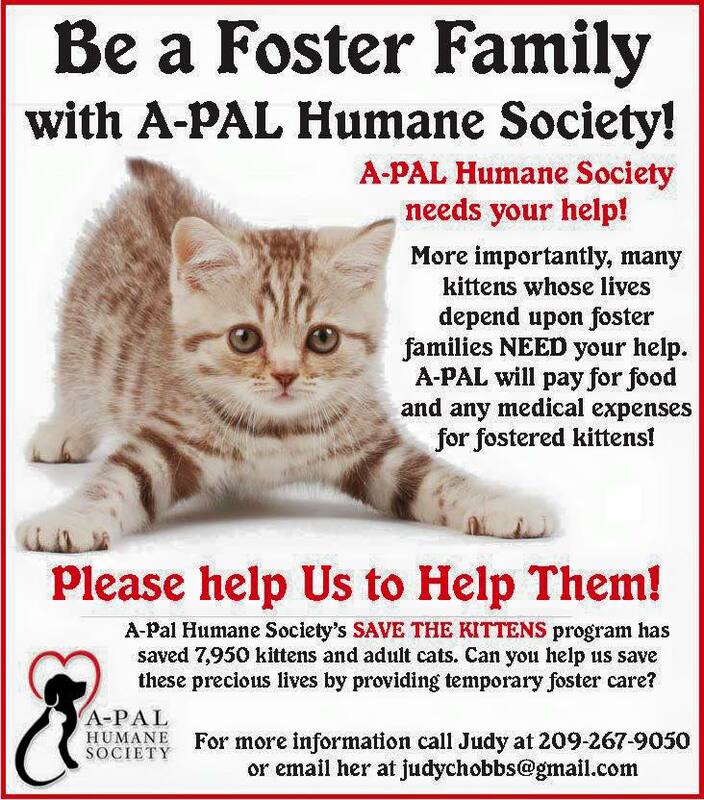 Children and youth are welcome, minimum age 7 years. This is a great way to cool off on a hot summer day with family and friends while helping to protect and restore the beautiful river in your own back yard! O.A.R.S. is a worldwide leader in the adventure travel industry, with well-trained guides and top-notch equipment. That will ensure your trip and lunch on the river are fun and unforgettable. Here's what they say about the trip: The South Fork of the American River offers some of the most exciting Class III whitewater in California and is perfect for beginners, families and anyone who just wants a day out paddling in the California sunshine. Our South Fork American River rafting trips through the rolling Sierra Foothills offer the perfect way to cool off on a warm California day. Whether you're new to rafting and just want to "get your feet wet," or you just don't have time to fit a multi-day adventure trip into your schedule, our South Fork American River rafting trip options will surely be the perfect choice. Rafting the South Fork American River is a quick and relatively easy option for an exciting family or group adventure. Whether paddling through thrilling rapids or swimming alongside the raft, lots of splashy good times are guaranteed. For more information and to register, see http://www.foothillconservancy.org/pages/events.cgi?calcatid=1&calid=517&_fn_=517. 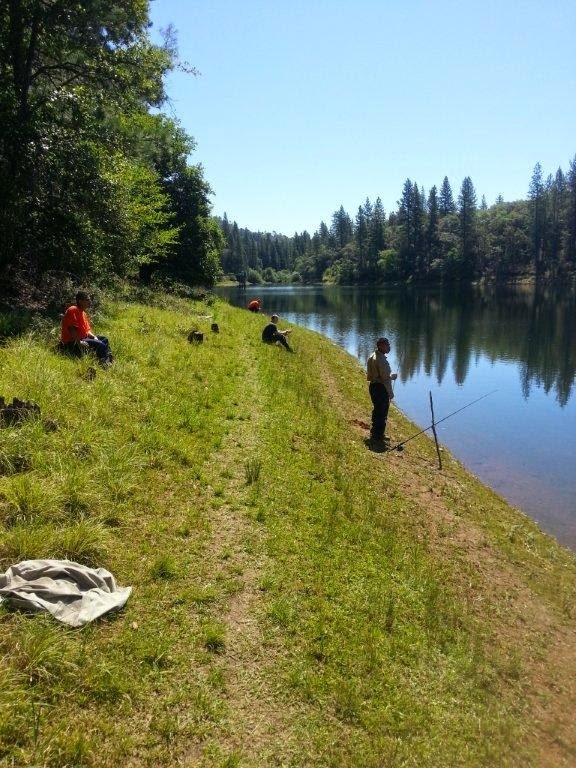 Pine Grove Youth Conservation Camp enjoys "Free Fishing Day"
The CA Fish and Game Department designates two days a year - where fishing licenses are not needed to fish California waters. 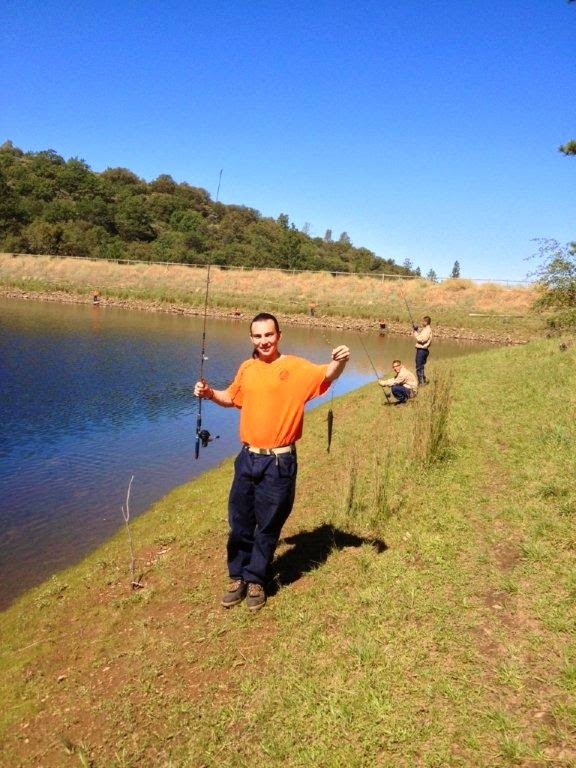 This year the first one just happened to fall on July 5th so we took advantage of this on Saturday and tried our hand at a little Amador County Trout fishing. The event, conceived by camp staff several years ago, is very popular with our guys. This year, Case Manager Jeff Cramer and Youth Correctional Counselor Linh Nguyen - served as the event instructors. 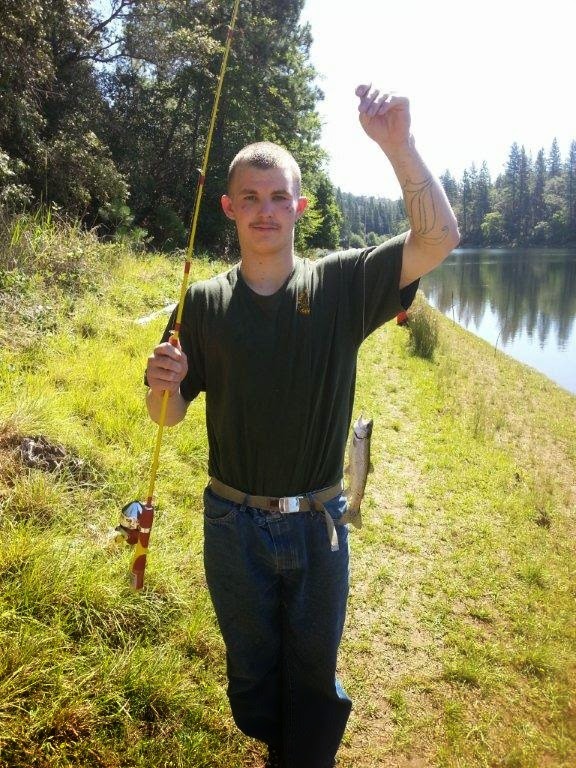 With all the fires right now we only had ten guys in camp that could go fishing, mostly the training crew, and all of them couldn’t wait to try it. 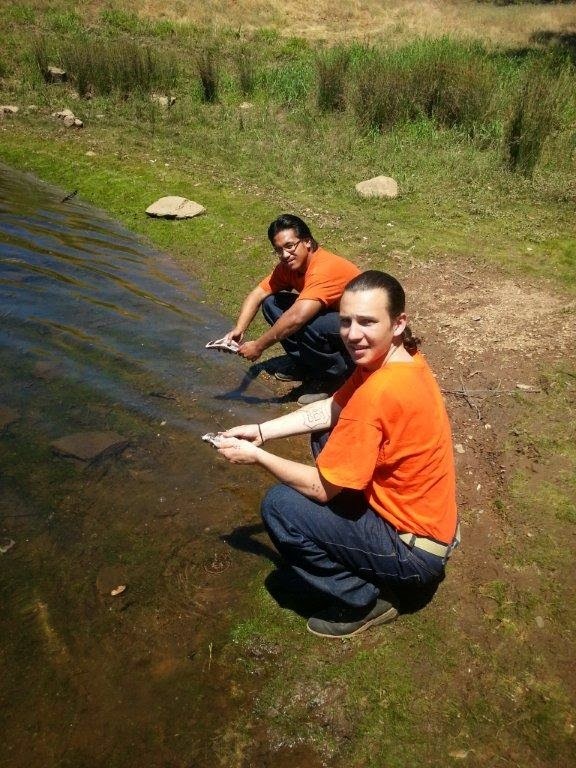 Although only a couple of them had been fishing before, they caught three fish. Along with the polish dogs that was enough for lunch. The guys learned a new skill or at least tried something new and they all had fun. However, while they were in camp they found some time to enjoy Independence Day. Watermelon eating contest, 3 legged races, egg toss, The Pine Grove Cup soccer tourney and some good BBQ. 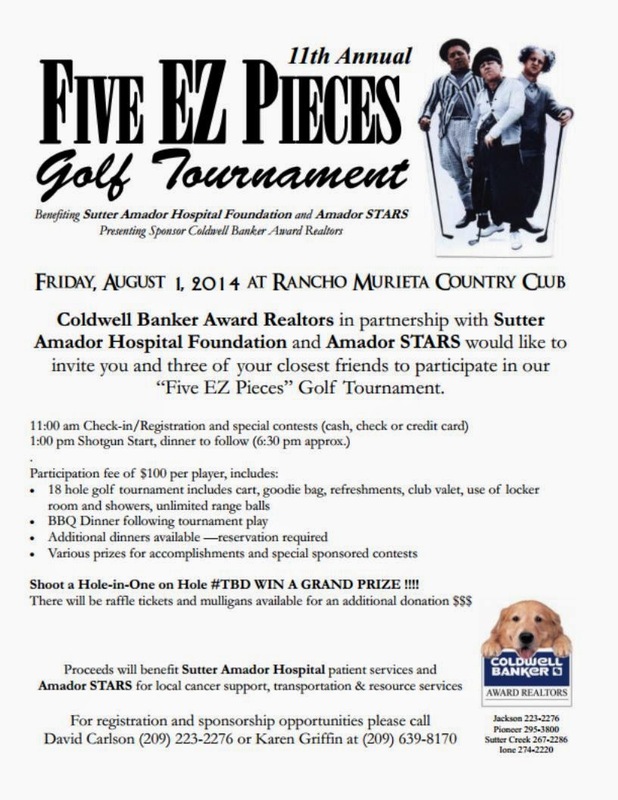 11th ANNUAL FIVE EZ PIECES GOLF TOURNAMENT - Fri Aug 1 at Rancho Murieta Country Club. 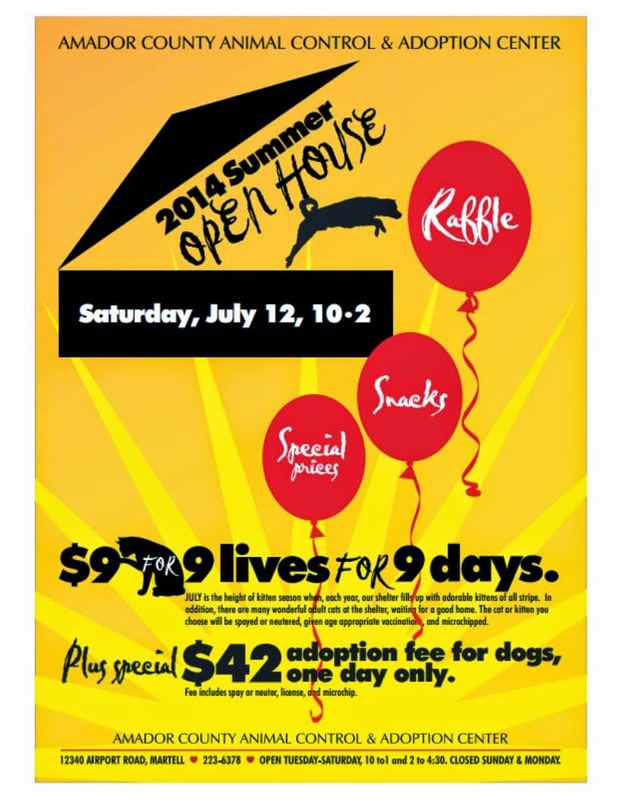 Benefits Sutter Amador Hospital's Patient Services, and Amador STARS.